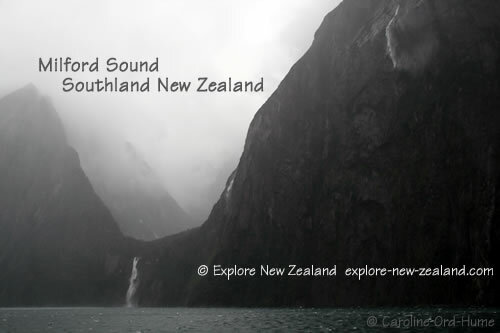 Southland New Zealand includes the Fiordland National Park and Rakiura National Park on Stuart Island. The region extends from the west coast of Fiordland to the Catlins in the east. 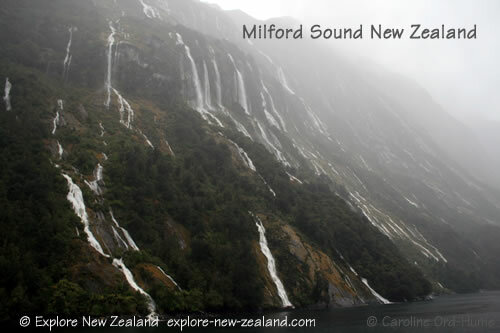 The Darran Mountains north of Milford Sound and Eyre Mountains north of Lumsden provide northern boundaries, and Stuart Island / Rakiura the southernmost reach of Southland region. The interior of Fiordland, the largest National Park in New Zealand, is pretty much uninhabited. However, in the peak summer season the most popular tracks and huts will be alive with visitors from around the world and New Zealanders on their summer holidays. If you want to walk one of the famous tracks such as Routeburn Track and Milford Track you are advised to book huts or camping as they get fully booked well in advance. The Southland Plains of New Zealand Southland region, between the Waiau and Mataura rivers, are flat and fertile with an agricultural economy and Gore and Invercargill being the two main settlements. Invercargill is the largest city in Southland, housing half of Southland’s population, and it the most southern city in New Zealand. With a friendly welcome Invercargill is a great place to visit, use as a base for exploring the local area, and/or taking a trip to Stuart Island. Invercargill is along the Southern Scenic Route and has plenty of historic and cultural attractions for visitors to enjoy. Stuart Island / Rakiura is within Southland New Zealand and is a popular destination for nature and wildlife, particularly in the height of the summer season. 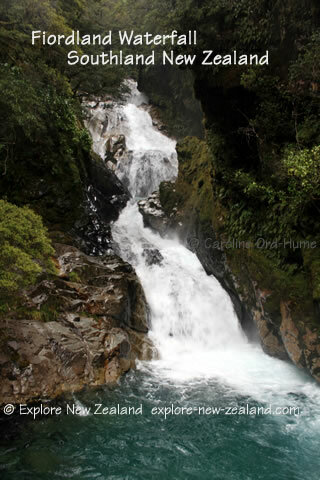 It is therefore advisable to book well in advance for accommodation, tours, and Rakiura Track huts. Curio Bay, Porpoise Bay, and Waikawa are also in Southland along with part of the Catlins Conservation Park. The southeast boundary of Southland meets with the south Otago region boundary. There are several Lord of the Rings filming locations to visit in Southland, a list is provided below. 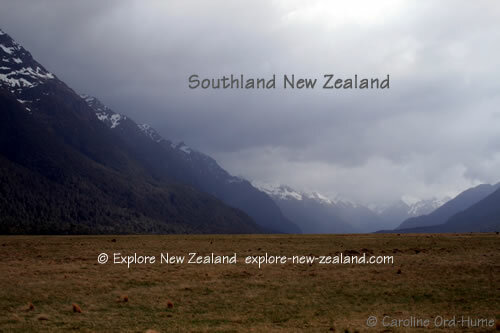 The climate of Southland is varied but it has a lower overall temperature range in comparison to the rest of New Zealand due to being closer to the South Pole, and is wetter than the rest of New Zealand with Fiordland being the wettest climate and highest rainfall, particularly at the higher altitudes of the mountains. The coast tends to have a temperate coastal climate, and inland a more continental climate. The Southern Scenic Route (SSR) through Southland and Otago provides over 600km of nature and culture with SSR taking you south from Dunedin, along the south coast through the Catlins to Invercargill, and up past Te Anau to Queenstown… or of course, the route can be done in reverse, from Queenstown to Dunedin. Information and leaflets can be obtained from i-SITE centres. The Southern Scenic Route takes you through Otago and Southland regions. South West New Zealand UNESCO World Heritage Site encompasses four of New Zealands national parks; Westland Tai Poutini National Park, Aoraki/Mount Cook National Park, Mount Aspiring National Park and Fiordland National Park. Burt Munro - The World’s Fastest Indian film is about Burt Munro.